2018 was an important year in LA’s restaurant scene, for reasons both obvious and obscure. At the top of the year we were at the center of global culinary interest, thanks to many mainstream publications “discovering” LA in 2017 and wondering whether we’d live up to the hype. We were also under the microscope for a tragic reason: the undisputed culinary voice of the city, Jonathan Gold, passed away sadly in July. His absence has meant eaters and explorers alike have lost one of the most reliable ways to find amazing food in the city. Alongside those challenges, though, tons of new restaurants opened up, with some of them riding out beyond their hype to claim 2018 supremacy. We’ve picked out the best openings of the past 12 months, from a downtown sequel that’s become one of the hottest tables in town to a legit Sichuan spot finally popping up outside of San Gabriel Valley. 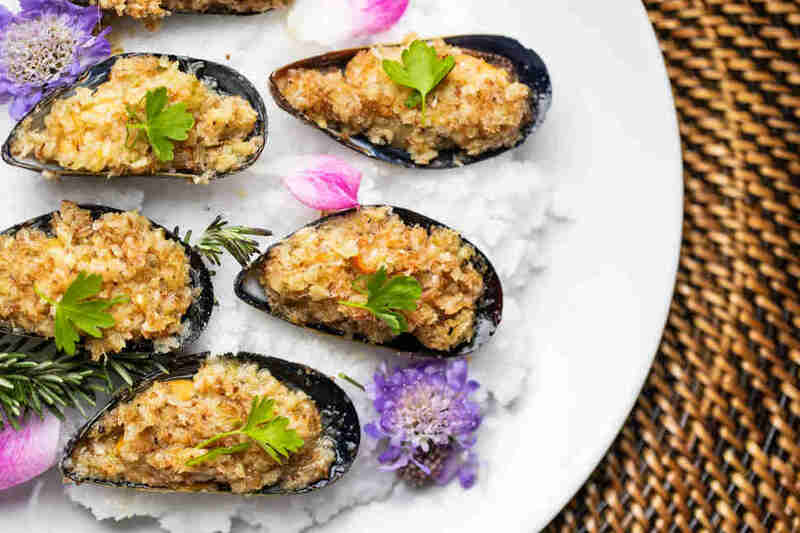 LA’s restaurant scene has never been more exciting -- and here are some of the reasons why. The best sequels improve the original -- think The Empire Strikes Back, or The Godfather II -- and Bavel is one of the best. 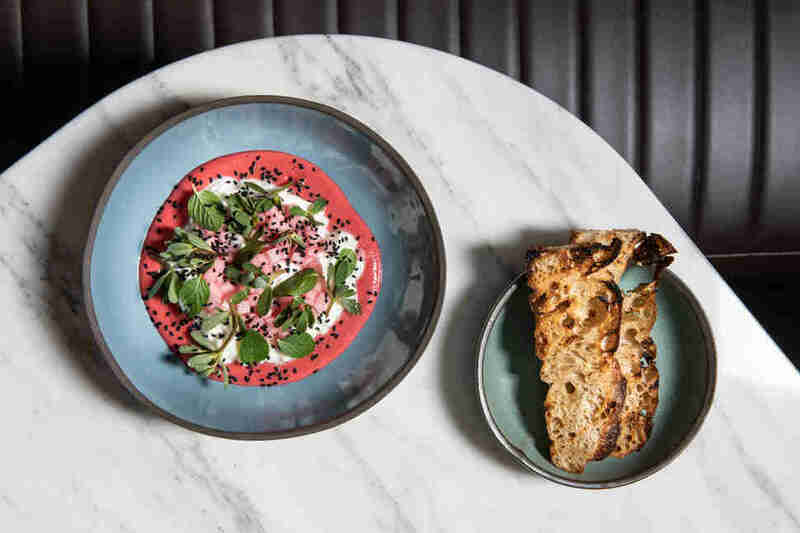 The second restaurant from Ori Menashe and Genevieve Gergis, Bavel is the follow-up to Bestia, a perennial Eat Seeker favorite from the day it opened and arguably the restaurant that most defines Los Angeles’s dining scene as a whole. The duo could have played it safe, piggybacking on Bestia’s legacy of fresh Itali-Cali food, and no one would have blamed them, but they didn’t: instead, they took Middle Eastern flavors and gave them the same care and treatment they did with Italian flavors at Bestia. The result is supple, smooth hummus; gorgeous, fluffy pita (with a fried option that’s up there among the best breads in LA), and the signature lamb neck shawarma, which comes on the bone, flaking off delicately before bursting with flavor in your mouth. The design is beautiful, the food is meticulously prepared, and the vibe is casual. In other words, it’s another perfect LA restaurant -- a sequel that stands proud alongside what came before it. Yes, it’s expensive. Yes, it’s in a tourist-trap area of town. Yes, chef Adam Perry Lang’s best friend is Jimmy Kimmel, which means this is sort of a celebrity hang. 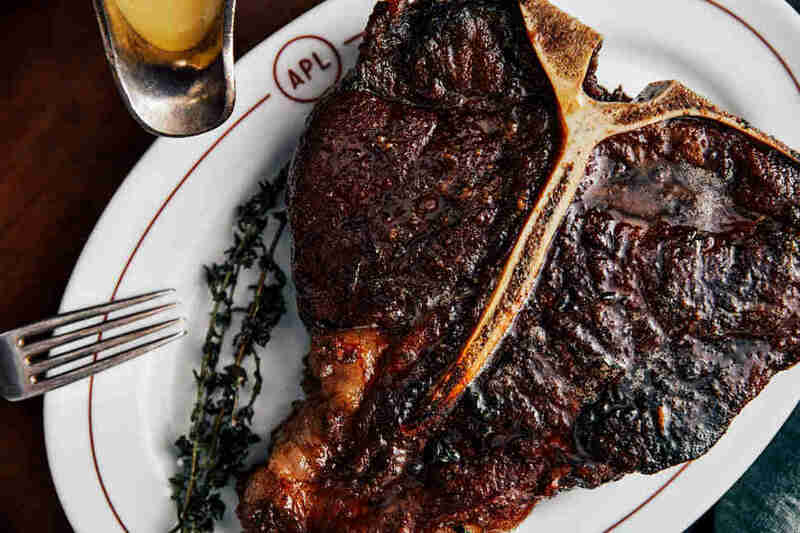 Bite-for-bite, though, the best piece of meat I had all year was APL’s 100-day rib-eye, carved off the bone with one of those hand-forged “felony knives” that are always tempting to slip into a purse or pocket. The whole menu’s as insanely delicious as the steaks Lang’s aging downstairs (if you ask really nicely they might let you see the room where the magic happens): the roasted cauliflower is savory and sweet, and the French onion soup is the best I’ve ever had. Is it worth the price? Debatable, but if money is no object, you should have no objections. 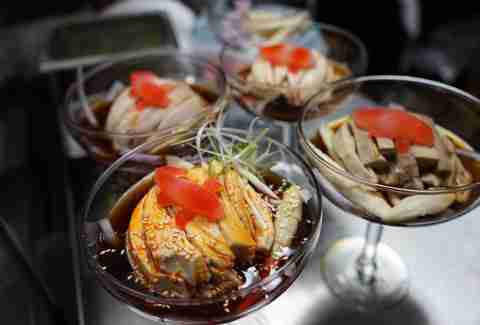 The idea of Filipino food being the “next big thing” in dining has been around since at least 2012; Thrillist’s own food editor Khushbu Shah wrote a piece just last year about how problematic those sorts of cultural identifiers can be. With that in mind, let’s not say Ma’am Sir -- a trendy Filipino spot in one of the trendiest neighborhoods in the country -- is proof that Filipino food has arrived, so much as it’s proof that modern eaters are open to just about any regional cuisine so long as it’s delicious. 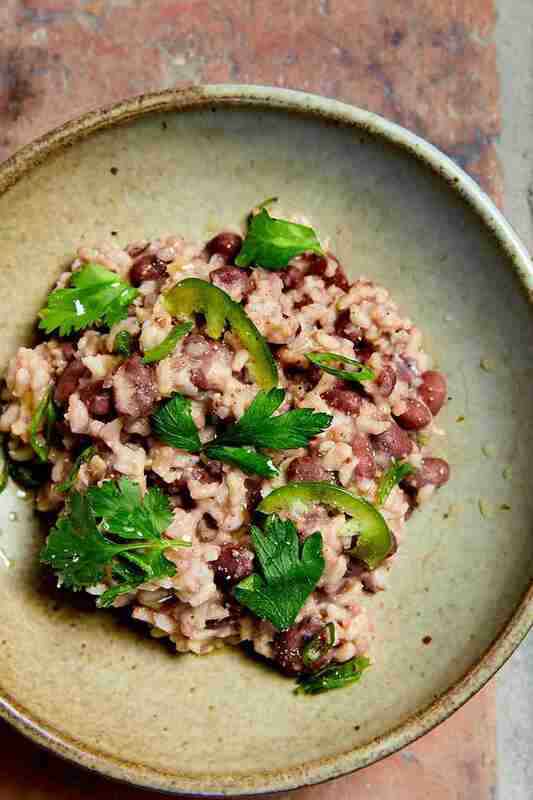 The hangover rice is one of the standouts (a fried-rice dish topped with an egg and peppered with sweet longanisa sausage); the oxtail is served in a thick, salty base that’s absolutely craveable; and the bread is essentially a vessel for coconut butter that hits the top of your mouth with sweetness and saltiness at once. Trendy? Who cares. First and foremost, this place is delicious. People who take “best-of” lists way too seriously are going to have a field day with this pick, thanks to it being in the bottom floor of the city’s most laboriously reconstructed mall, the Beverly Center. Here’s the thing, though: all of the pretentiousness inherent in this spot, which calls itself “seed-to-table cuisine” and counts a farmer as one of its most visible partners, actually works in its favor. The fresh ingredients here truly are fresher thanks to that aforementioned farmer: sharp vegetables and fruit lend major flavor to the dishes, which change seasonally based on said farmer’s crops, and he’s even growing his own grains for the flour used in the pasta and breads. 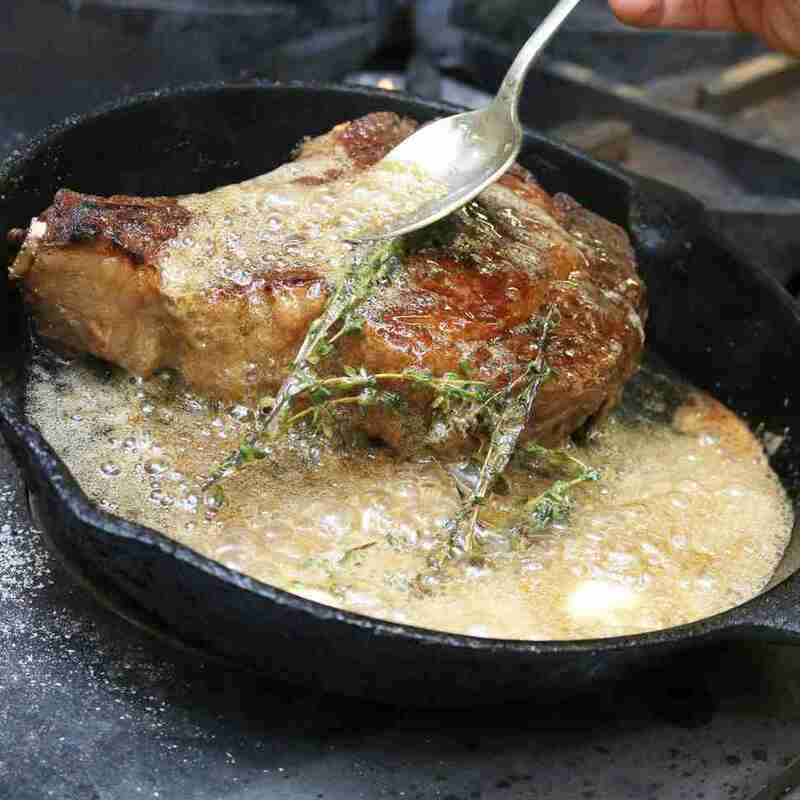 You can taste the difference, and what Farmhouse gives up in menu consistency it makes up for flavor and robustness. Call it a brightly-lit dark horse pick. 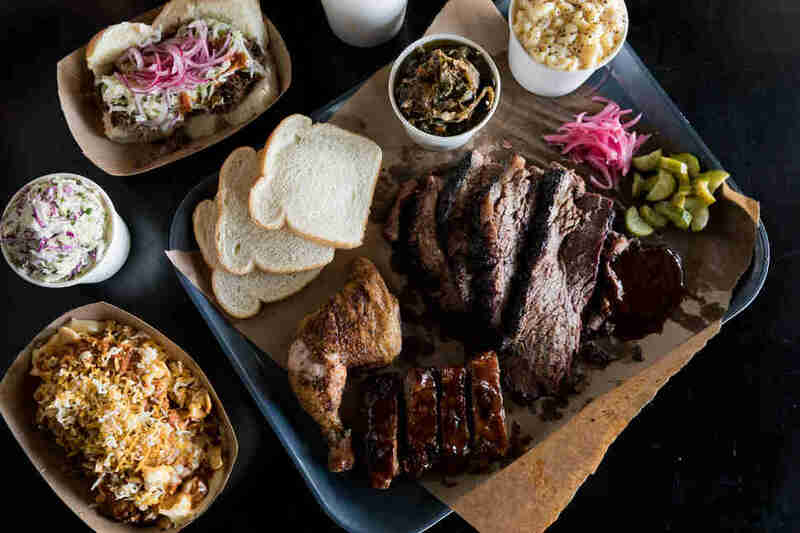 There were tons of reasons to be skeptical about SLAB, the first brick-and-mortar restaurant from Burt Bakman, whose Instagram phenomenon Trudy’s Underground BBQ literally was just Bakman -- a former real estate agent -- serving brisket out of his backyard on the weekends. The city has problems with open-air smokers, so his setup inside was going to be a different beast, and Bakman was teaming up with H. Wood -- a restaurant group known more for sceney hangs than phenomenal food. But fans of Trudy’s can rest easy: though it’s just opened (it’s the newest restaurant on this list), it’s not a stretch to say that SLAB is serving the best Texas-style BBQ in LA, with that brisket perfectly peppered and moist, and chicken that smacks you in the mouth with flavor. They were out of pulled pork and ribs when we stopped by, but if your neighborhood BBQ spot’s running out of food at 1pm, that’s a good thing. This is the closest to Franklin’s that you can get without buying a ticket to Austin. Run, don’t walk. Perhaps Jonathan Gold’s lasting legacy on the city (other than using “perhaps” at the top of sentences about food) was opening up communities like the San Gabriel Valley to people who didn’t speak the languages most prevalent there, demystifying food and embracing the entire melting pot of LA culture in the meantime. It’s almost a testament to Gold, then, that Sichuan Impression, one of his Top 99 picks for years, has expanded far out of the SGV into West LA -- only a couple-dozen miles geographically, but worlds away audience-wise from the enclave the original restaurant is located in. Sichuan Impression’s West LA flavors -- peppercorn and sesame and ginger and more -- are just as robust as they are in Alhambra, suggesting not just a saved drive for anyone from the westside craving authentic flavor, but that the geographic limitations on cooking with those flavors are nowhere near as limited as they once seemed. At the beginning of the year, when it opened, the hype around the Nomad was huge -- and then it subsequently fell flat. 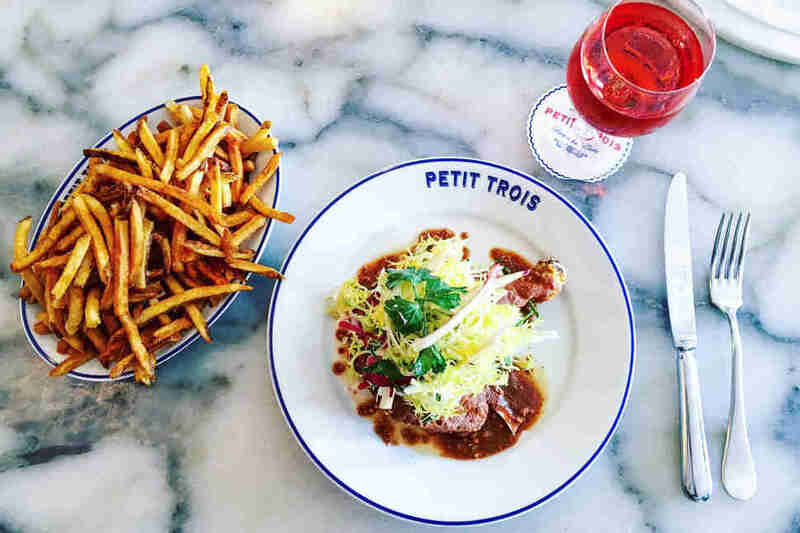 Run by chef Daniel Humm and restaurateur Will Guidara (the same team that takes care of the Big Apple location), the LA outpost’s early offerings seemed far too formal for the city; reports were not positive. A couple of re-tools later, though, and the restaurant at Nomad -- in a two-story room that feels both classic and modern all at once -- has become a totally lovely, absolutely delicious choice for special-occasion meals or treat-yo’self nights. 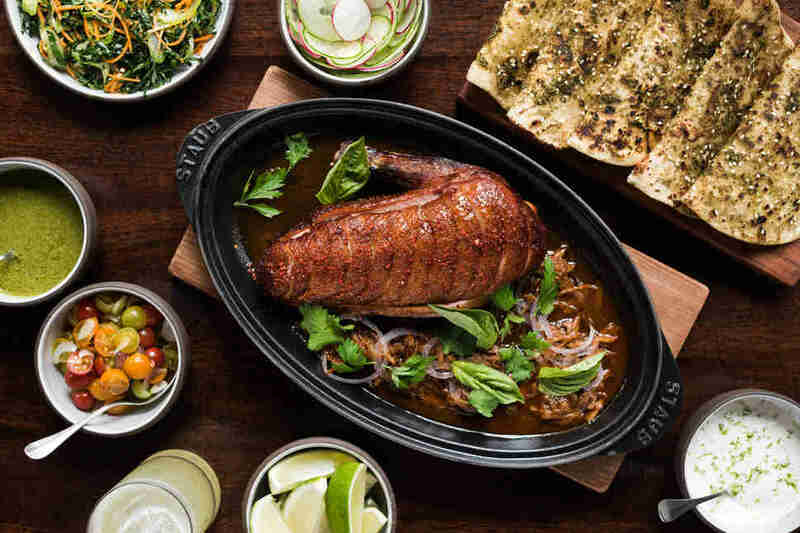 Though the whole roasted chicken stuffed with foie gras and black truffle is the signature dish, it’s expensive (and admittedly overrated): there are plenty of other amazing choices on the menu, including a creative large-format duck and a sort of make-your-own-taco uni. The Majordomo story parallels Nomad’s in a lot of ways: beloved NYC restaurateur drops down in LA amid a sea of buzz, disappoints initially, then finds their feet. 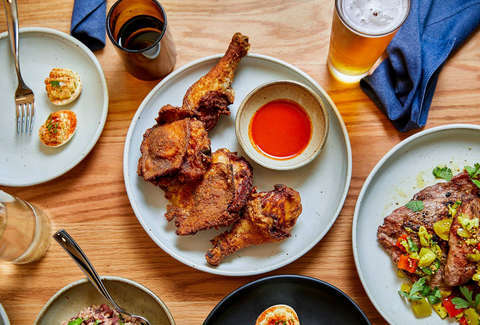 In Majordomo’s case, though, that chef is David Chang, one of the best-known, most recognized chefs in the US; the pressure was on. Though the APL short rib was an early standout, the whole boiled chicken here is one of the best dishes I ate all year: once done, it’s served in two ways, the first being a next-leveled Hainan chicken (absolutely delicious), and the second a meaty chicken noodle/vegetable soup (also completely delicious). Ludovic Lefebvre’s outpost of his Hollywood restaurant is less notable for its food (though that, of course, is exemplary as well) than its location: by opening in Sherman Oaks, Lefebvre has basically opened the floodgates to fine-dining chefs taking up residency and setting up businesses in the 818. Sure, others have come before him -- we’re looking at you, Philip Franklin Lee, and we appreciate you -- but dishes like Lefebvre’s signature omelette being available in the Valley at an always-packed restaurant can only mean other known chefs are chomping at the bit to sign their paperworks, too. On paper, Simone shouldn’t work: the much-anticipated restaurant from Jessica Largey is in an unlikely location, and the layout is, frankly, a bit weird. 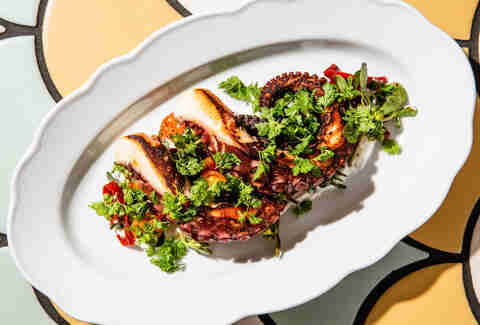 Thanks to Largey’s preternatural skill with flavors, though, a restaurant that should’ve just been an OK place to grab a bite and spot a celeb is instead home to some of the most interesting dishes of the year. 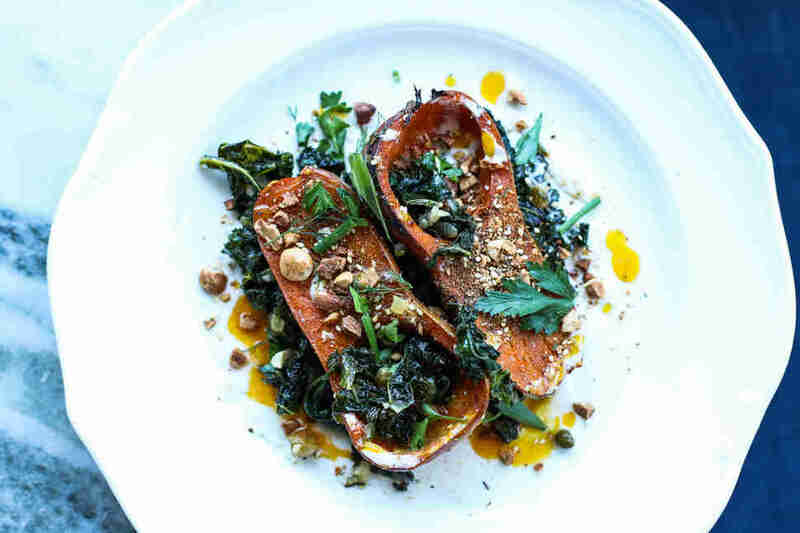 The sturgeon and the squash (yes, the squash) are the homeruns, but even Simone’s more inconsistent dishes bubble with creativity and passion -- plus, it’s an added bonus to try to overhear the conversation at the next table to see if you can get any spoilers for Infinity War. Alta Adams’ mere existence is controversial: the new California-inspired soul food spot from Daniel Patterson is emblematic of the gentrification in West Adams, a historically African-American neighborhood that’s seen all of the patterns of modern “development” in the past few years. That said, Alta Adams is proving to be a restaurant the community can stand behind, with chef Keith Corbin serving dishes that reflect his childhood in Watts: green beans simmered in tomatoes and spice, fried chicken that’s crispy and moist, unbattered black-eyed pea fritters with a glorious, rich herb sauce, and a bechamel-laden mac-and-cheese that’s rich and soul-cleansing. Every neighborhood deserves great restaurants, and though this one’s just getting started, it has every hallmark of being a mainstay. Jeff Miller is very proud that he ate at all these places and still lost 43lbs this year. He’s keeping track of all that stuff at @jeffslosingit on Instagram.